Elasto Proxy uses value-added manufacturing to create custom cab insulation for mobile equipment. Water jet cutting makes precise cuts with straight lines or chamfered angles. Taping replaces adhesive spraying with peel-and-stick installation. 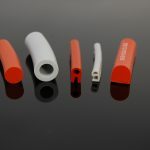 Kitting, parts marking, and packaging put everything your installers need at their fingertips. Elasto Proxy offers design assistance and help with material selection, too. By choosing cab insulation from Elasto Proxy, you’ll save time and money while improving quality. Some mobile equipment insulation is still cut by hand with a template and a utility knife or box cutter. Parts with rough cuts don’t impress equipment buyers, however, and sourcing managers don’t know how much waste is created by poor-quality cuts. Instead of buying exactly the amount of material that’s required, sourcing managers buy more insulation than they really need. Custom fabrication can reduce labor and material costs, but these aren’t the only benefits. When you send your CAD files to Elasto Proxy, we’ll review your part designs and prepare them for fast, accurate digital manufacturing. The Elasto Proxy team can help you with material selection, too. Perforated vinyl foams come standard in black, gray, and Mojave brown, but we can custom color-match your cab insulation to your larger mobile equipment design. 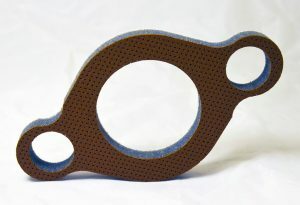 We can also source perforated vinyl foams with a metallic finish, or that have a basket-weave pattern or texture. If you need non-perforated materials instead, we can source them, too. 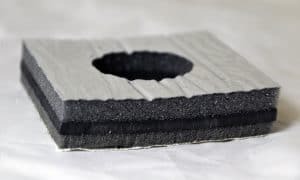 Importantly, Elasto Proxy has the technical expertise to recommend the right cab insulation material and thickness for your specific noise levels and decibel reduction requirements. Elasto Proxy uses water jet equipment to cut smooth, straight lines and chamfers with 30° or 45° angles. Through precision cutting, we can make angled cuts for wrap-around edges with a finished appearance. 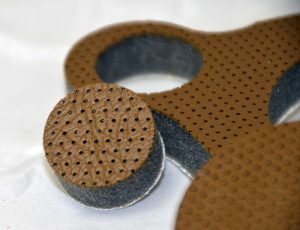 Water jet cutting also creates through-holes for fasteners that are required by cabin components such as fire extinguishers, first-aid kits, and net pockets. 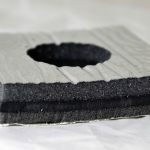 To accommodate raised fastener heads that are hidden behind cabin insulation, Elasto Proxy can cut blind holes in the back of the foam. These holes aren’t visible to equipment buyers or occupants, but they support the flush mounting of custom cabin insulation. Historically, mobile equipment manufacturers used adhesive spraying to mount or attach cab insulation. Spraying can require compliance with health and safety regulations, and may also involve time-consuming setup and cleanup activities. 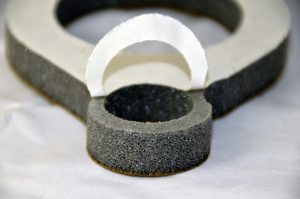 By contrast, custom cab insulation from Elasto Proxy attaches with pressure-sensitive adhesive (PSA) tape. Your installer simply peels away the backing material and sticks the acoustic insulation to the cabin surface. For headliners, PSAs that support heavier weights are available. Elasto Proxy can also recommend PSA tapes that are right for specific temperature and humidity conditions. Elasto Proxy can group all of the parts that you need into kits and mark individual components with part numbers or other identifying features to help speed installation. Thanks to inkjet printing and UV drying, our parts marking system produces letters and numbers that are crisp, clean, and easy-to-read. By packaging everything your installers need into a single box, you’ll save time and money on your assembly line. Instead of looking for 10 or 20 different SKUs in a warehouse, an installer can just open the box and get to work. 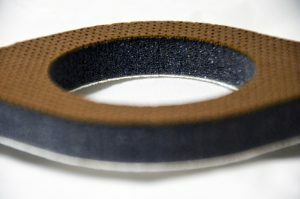 Do you need cab insulation for mobile equipment? What about engine bay insulation? Would you like samples that you can show to co-workers in purchasing, engineering, or operations? 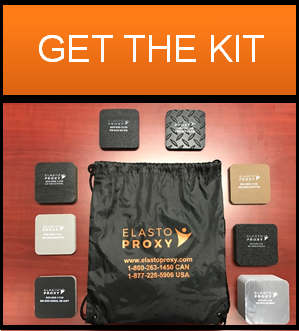 Request Elasto Proxy’s sample insulation kit. Packaged in a black-and-orange cinch bag, this convenient sample bag contains representative samples of mobile equipment insulation from Elasto Proxy.